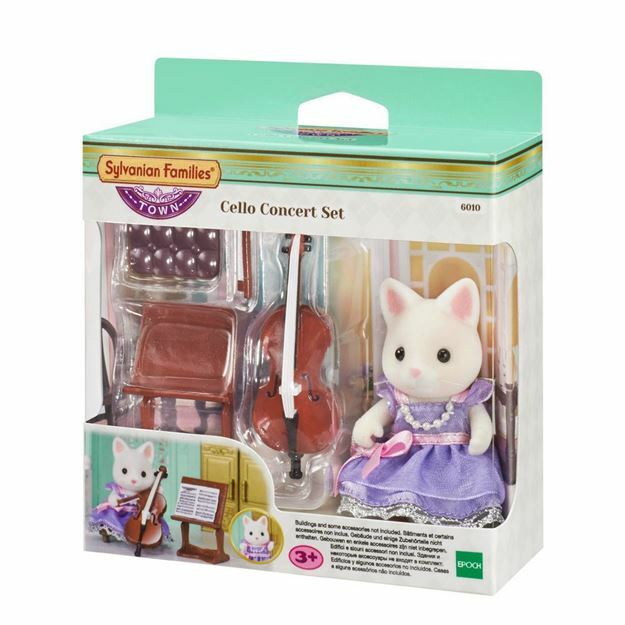 Dressed for the occasion in the Sylvanian Families Cello Concert set, Tiffany Golightly is always happy to play a tune. Combine with the Violin and Grand Piano Concert sets to create a trio recital event (each sold separately). Includes: Tiffany Golightly (Silk Cat), a cello, stool and accessories. Buildings and some accessories not included. Part of the Sylvanian Families Town Collection. Age 3+ years. Distributed in New Zealand by Holdson.